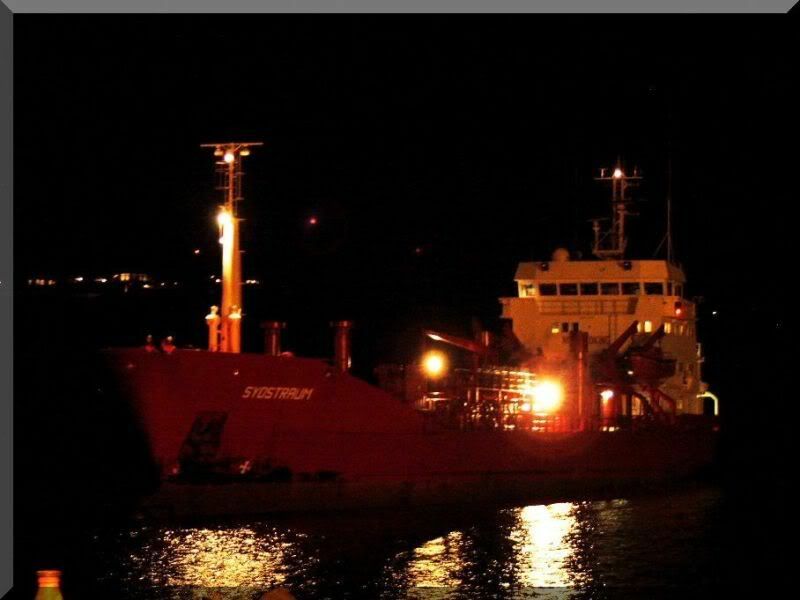 Don't know for sure if this is ment to be the old Endless thread (Increadible) Maritime Photographs, so therefore I don't make a link at this stage, but anyway...., here's some pictures of the small tanker "Sydstraum" that I worked on this past night. 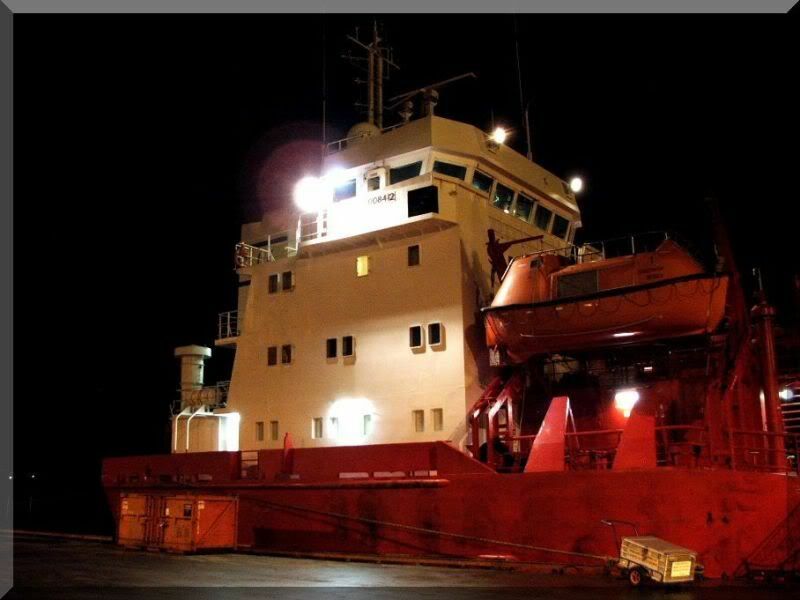 She came with 400.000 ltr of Glycol (MEG) to us at Swire and I was called out on duty to dock the boat and stand guard of the pump and hose. 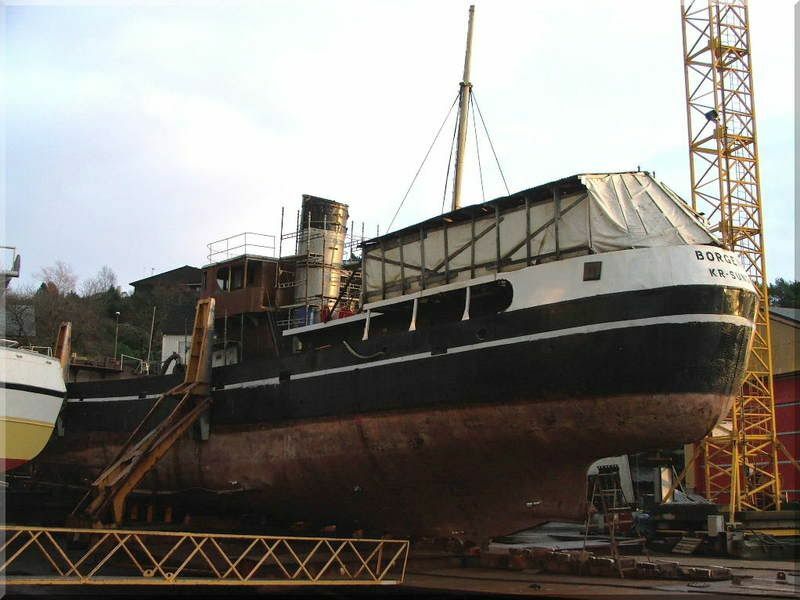 And at the same yard, the old steamtrawler "Borgenes" sat ashore to inspect damages to the hull and estimate some costs. (It said "No trespassing" on a sign down to the yard, but who can take such signs into concideration...? Not me...! (Wouldn't have been too many pictures taken then..... ). Last edited by Sterkoder; December 27th, 2008, 16:55. A couple of trawlers at Strand Rederi (Strand shipping company) in Ålesund. M/Tr. 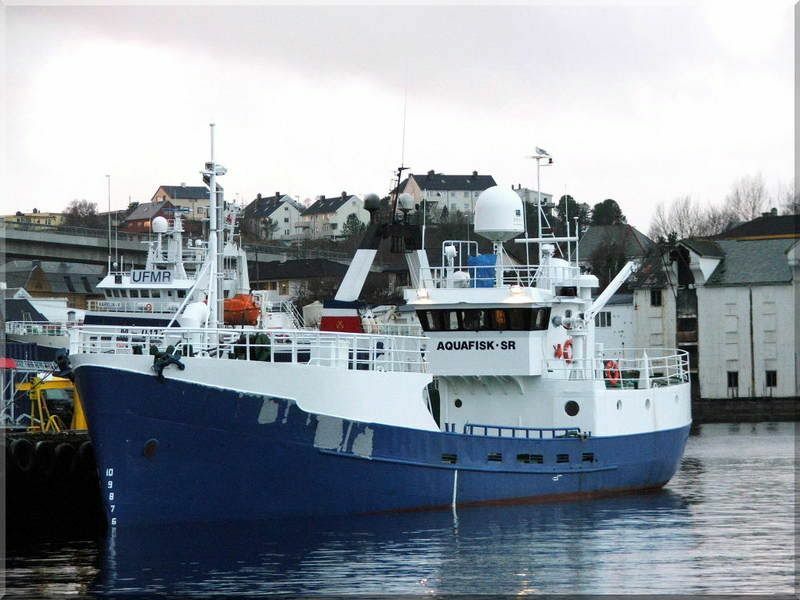 "Havbris" was delivered from Sterkoder Ship Yard here in Kristiansund as M/Tr. "Rybak" yardnr. 127 in August 1991. 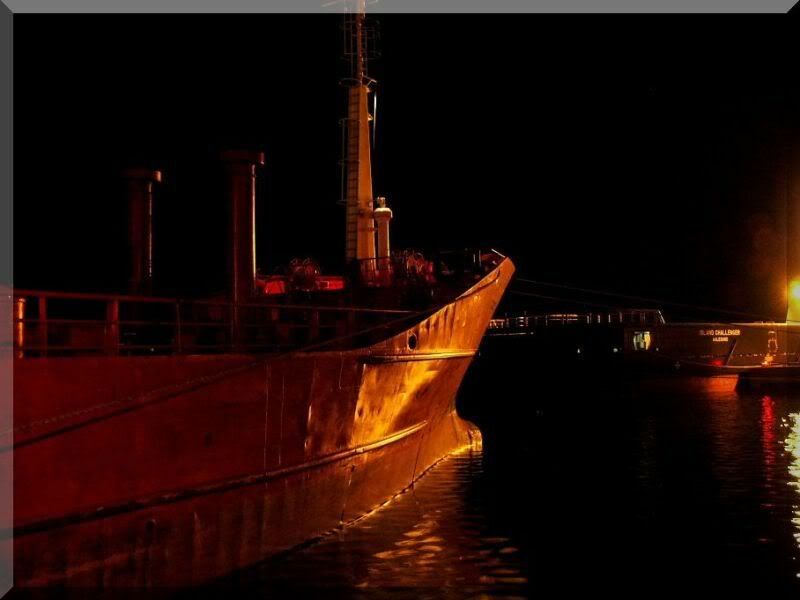 It was one of the 20 "Russian-trawlers" from this yard. Ødegaard Bergning's floating crane, Mammutkrana III. Info: Location Ålesund. Lifting Capacity: Jib 90 tonnes, Main 170 tonnes. Gross tonn 590. Net tonn 177. Length o.a 37,34 meters. Breadth mld 16,48 meters. Draft 2 meters. I see they don't like seagulls in Aalesund either.... (hence the black net). Yes, it is a real shame to let the harbour history decaying and tumble down... But there are some owners that are doing a great job to restore these old buildings. And there are still many places in Ålesund for the seagulls to rest. Well, I for one don't know a hole lot about the "Shetland-bus" , Leif Larsen and their traffic....., but I know that the K.N.M. 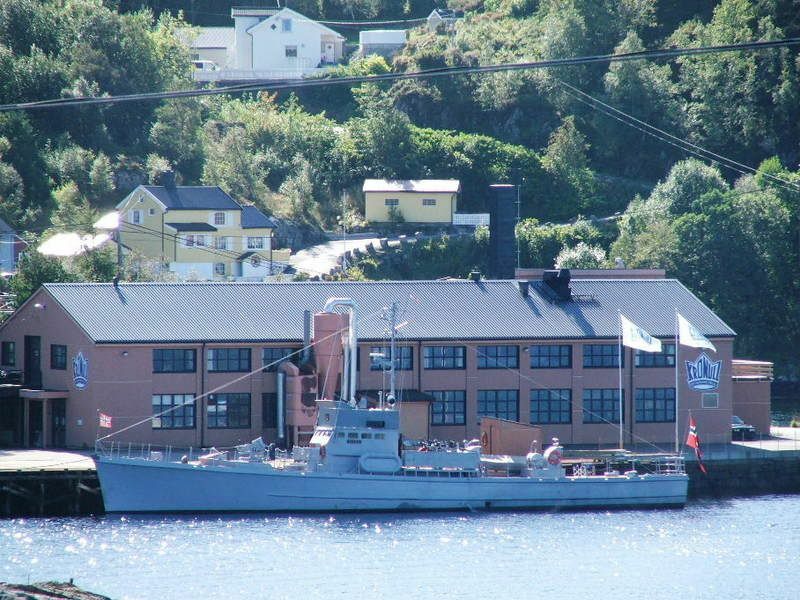 HITRA (my image below) is the only survivor of the famous Shetland-buses of the world war 2. 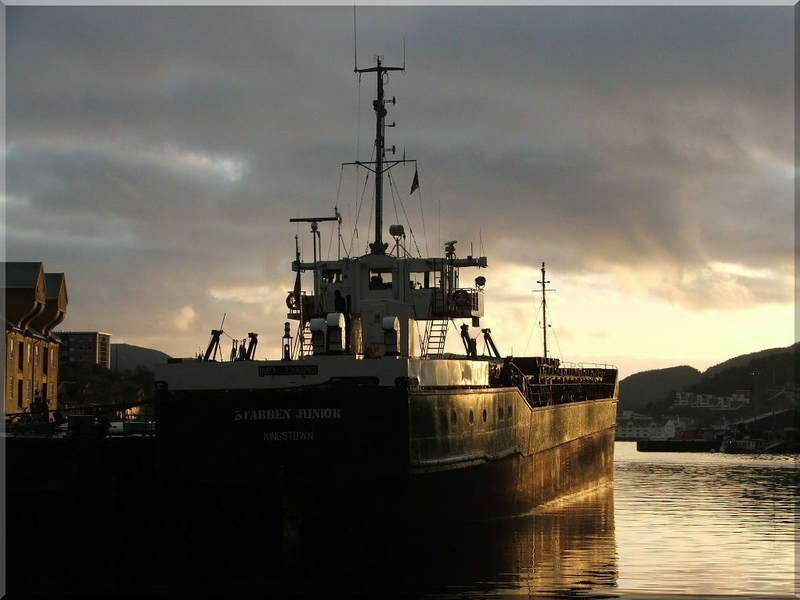 Therefore ELDØY can not be a "true" and original Shetland-bus, but the shape of the hull is very alike...., isn't it...? I would very much like to know more about the ELDØY.